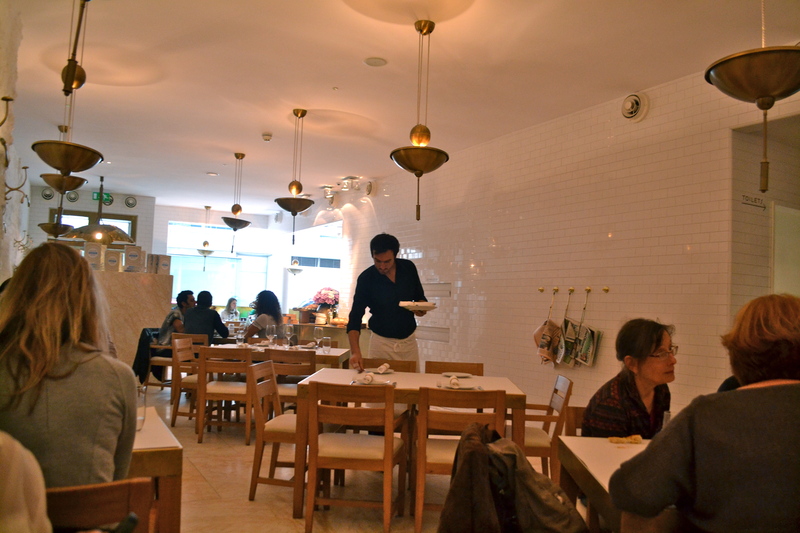 Nopi, the brainchild of Yotam Ottolenghi is definitely the more formal of the Ottolenghi branches around London. A native of Israel, Ottolenghi harmoniously blends the bold flavours of the Mediterranean, Asia and Middle East together as one happy family. 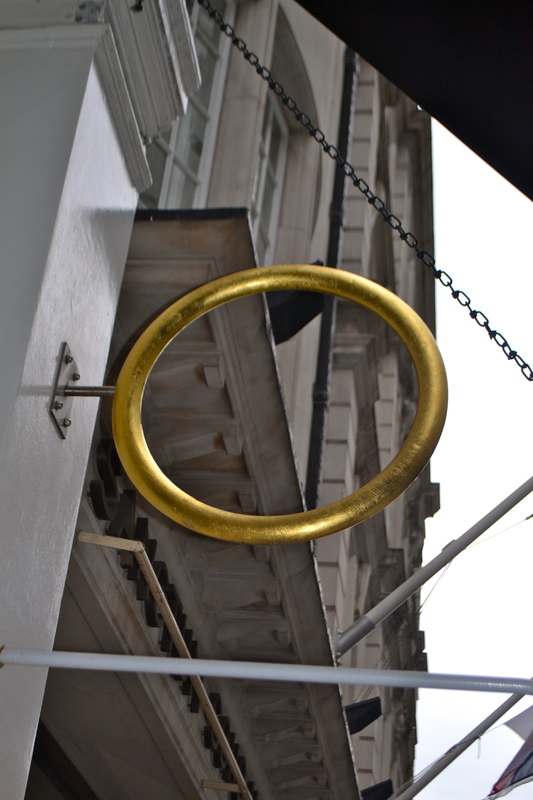 Located in Warwick Street, this is a perfect spot to enjoy a lazy Sunday brunch away from the craziness of Piccadilly Circus. Strangely this is where the name NOPI comes from – “North of Piccadilly”. 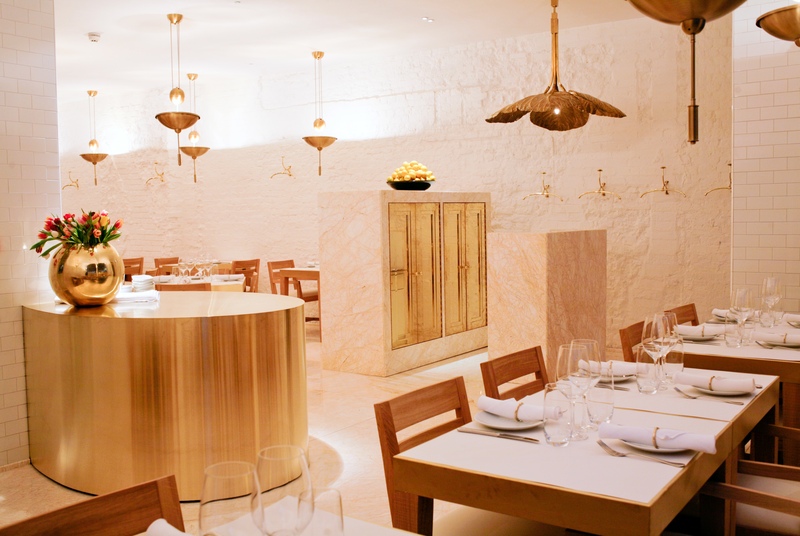 Upon entering you are instantly struck with a venue of sheer elegance, complete with marbled tiles, golden brass fittings and white ceramic walls. 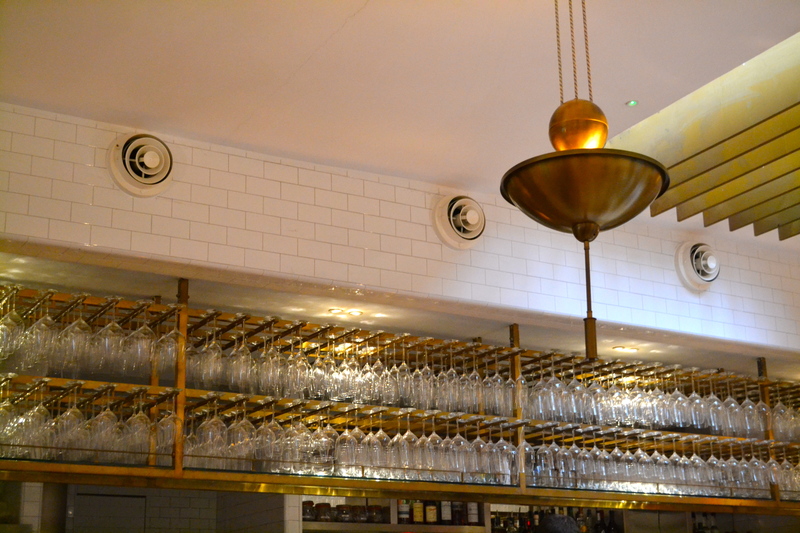 It has a great atmosphere – buzzy without being raucous. It’s a fairly spacious venue – sprawling over two floors; the ground floor is definitely the more formal of the two but if you prefer something more casual, you can perch by the long communal bar or the canteen style table in the basement. The menu is short with a creative “fusion” like twist. Some dishes have been inspired by Middle Eastern and Asian flavours – a version of black rice porridge, french toast with star anise sugar and white haricot beans stew are some lovely looking options on the menu. 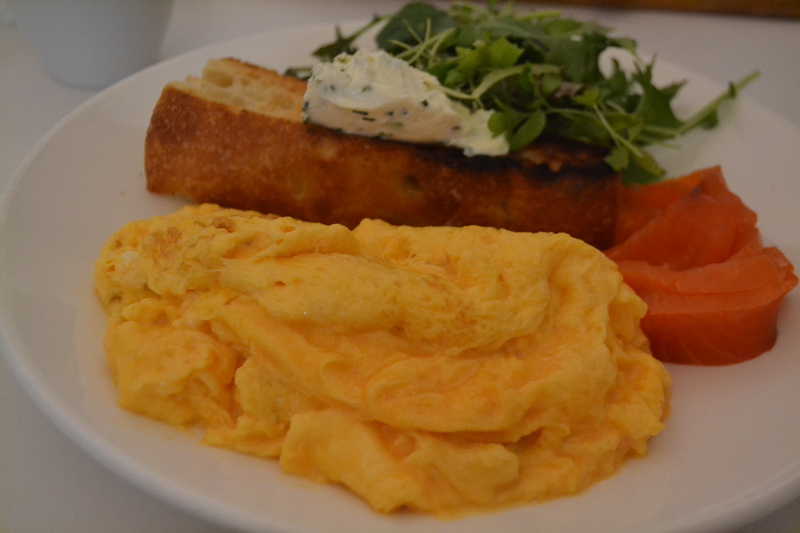 The scrambled eggs served with Hansen and Lydersen smoked salmon and toasted foccacia (£9.50) were cooked perfectly. The eggs were light and pillowy and were beautifully complemented by a generous serving of salmon and a touch of creme fraiche with chives. Be warned the serve is huge so come here hungry! 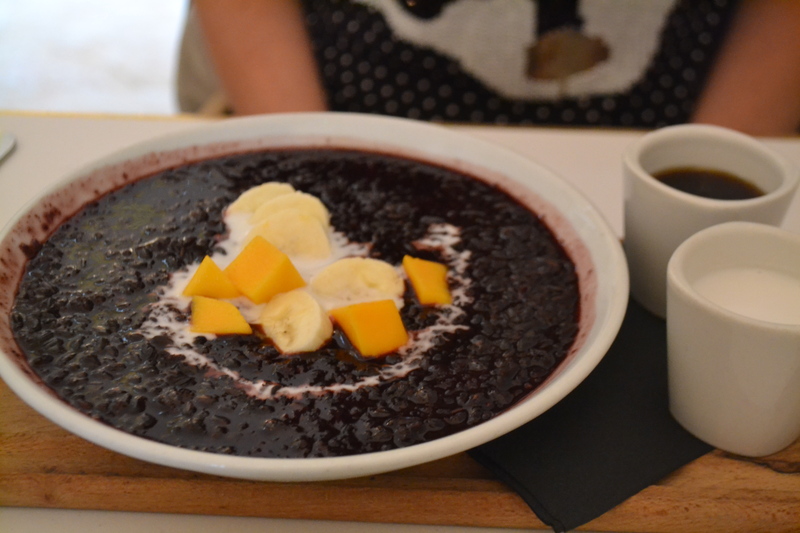 But the black rice served with coconut milk, banana and mango (£6.50) was the hero of the morning. It was pure brilliance in a bowl and so beautifully presented it almost seemed offensive to eat it. The coconut milk and maple syrup are served on the side in little jugs for some extra sweetening. 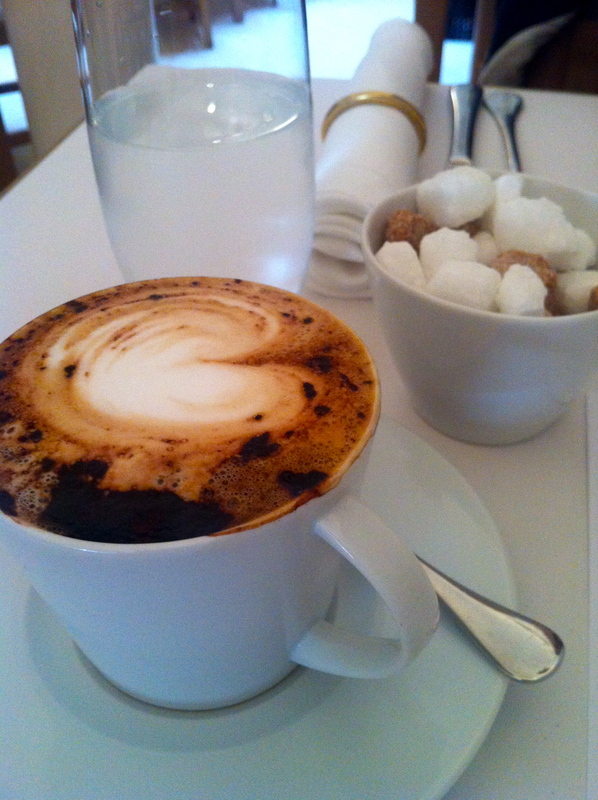 The coffee wasn’t perfect – good flavour but a slightly clumsy attempt of coffee art. 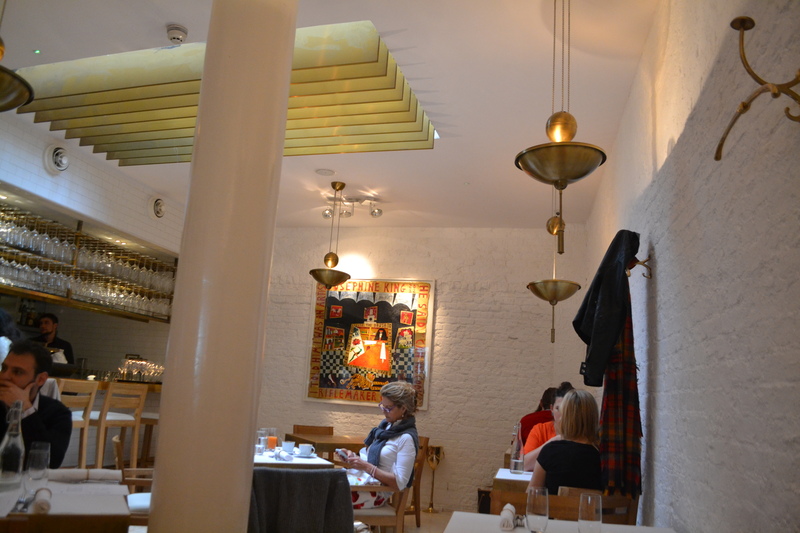 Lucky the food and service at Nopi was almost faultless. Make sure you don’t leave without a visit to the bathrooms! Tucked away in the basement, the bathroom is flanked with floor to ceiling mirrors throughout which creates a slightly disorientating, mirror maze like effect. Not sure I would like to visit the bathroom after a few drinks but lucky for me there was an exit sign on one of the doors which was definitely needed. A visit back is worth it for the bathrooms alone but let’s not discredit the food – it was great. 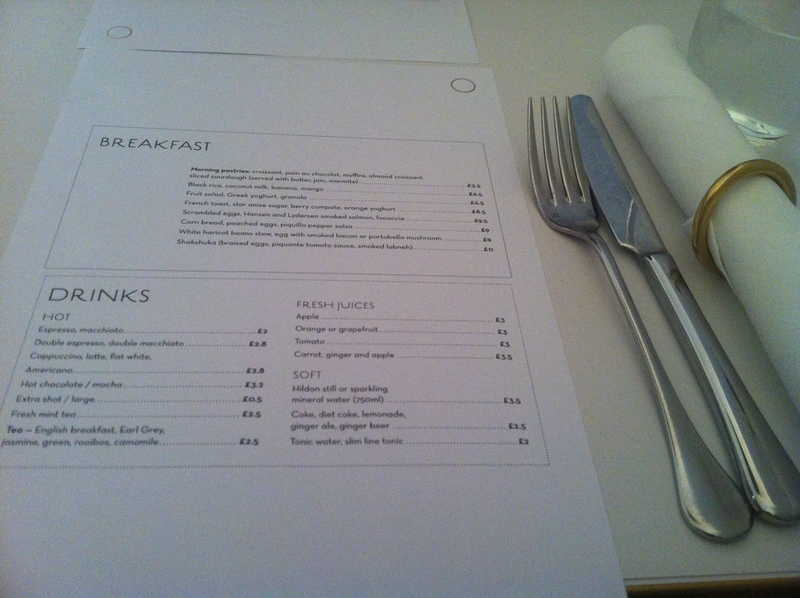 Under £30 for two breakfast items and two coffees. Great review! I’ll def be back. I didn’t realise NOPI had a sister (brother?) restaurant as I’ve never been there. I might have to brave the French toast. I’ve always goofed it up when I’ve tried to make it at home. I’m always up for a french toast brunch! Still haven’t cured my addiction. Uh oh…. Hope you can make it over to London soon!